until they get to the point where they claim JFK's logic was faulty. 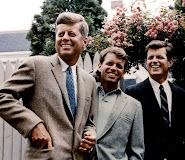 The ability of JFK to see multiple sides of an issue is not a result of "faulty logic." 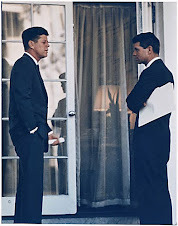 He was mad at how it all turned out and he was wishing the NYT could have prevented the situation JFK found himself in after the invasion failed. And the holier than thou NYT damn well knows that. What's great about it are the photos of the newsmen. Tad Szulc is a hero of mine, a remarkable man. President Obama’s announcement that full diplomatic relations were to be restored with Cuba brought to mind the bitter conflicts of the early 1960s. One such battle occurred 1,300 miles from Havana, in the newsroom of The New York Times. 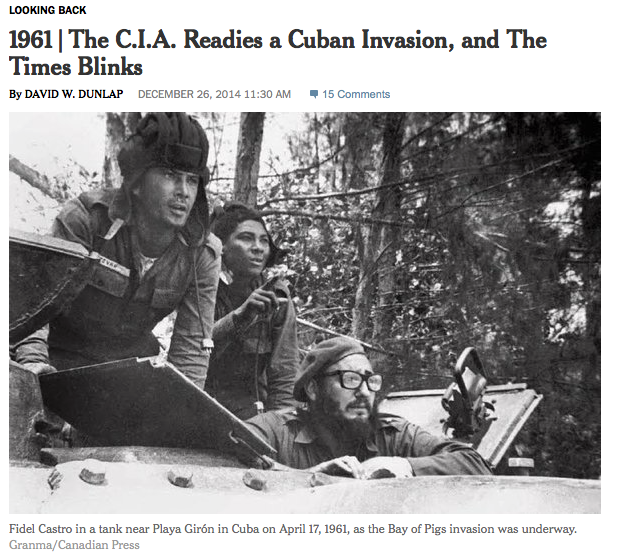 As the story of the Bay of Pigs is conventionally told, The Times squelched an article written several days before a C.I.A.-backed invasion force headed to Cuba in April 1961, where it met a humiliating defeat by troops loyal to Fidel Castro, whom the invaders hoped to overthrow. That is not quite what happened. In a short time, Mr. Szulc had produced a “full and dramatic account” of the invasion plans. That was when the fireworks really began, Mr. Daniel recounted. 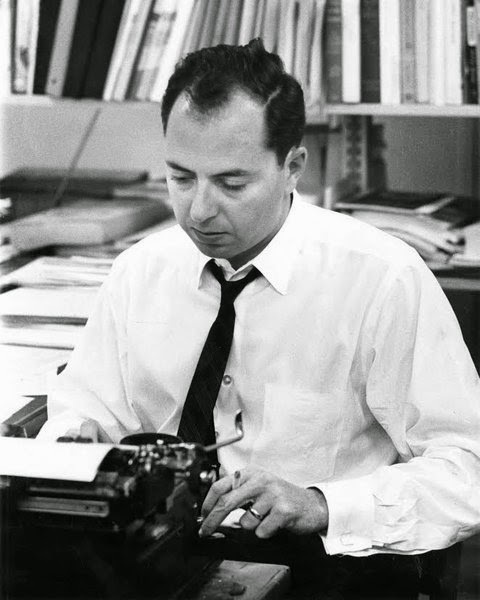 Theodore M. Bernstein, the assistant managing editor on night duty, and Lewis Jordan, the news editor, “believed a colossal mistake was being made, and together they went into Mr. Catledge’s office to appeal for reconsideration.” Mr. Jordan’s face was “dead white and he was quivering with emotion.” He and Mr. Bernstein told Mr. Catledge that they wanted to hear from the publisher — in person — why such an important story was being underplayed to suit United States foreign policy. Mr. Catledge was furious at such impertinence. 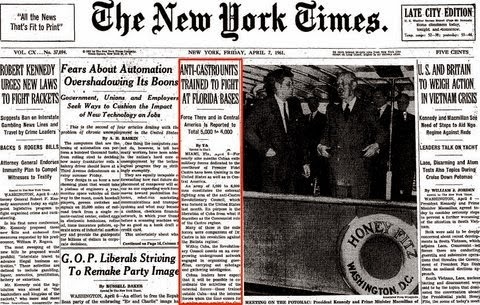 On April 7, readers of The New York Times were greeted by a front page with headlines that seem very familiar 53 years later (“Fears About Automation Overshadowing Its Boons”) and headlines that look very strange (“G.O.P. Liberals Striving to Remake Party Image”). Tucked into the middle of the page, above the fold, was news that an army of 5,000 to 6,000 men, intent on deposing Mr. Castro, was massing in Florida, Louisiana and Guatemala. What it did not say was that the attack was expected to occur in less than two weeks. What unfolded 10 days later, on April 17, was exactly the “bloody fiasco” Mr. Dryfoos had feared. And, as he feared, The Times was indeed blamed by President John F. Kennedy. 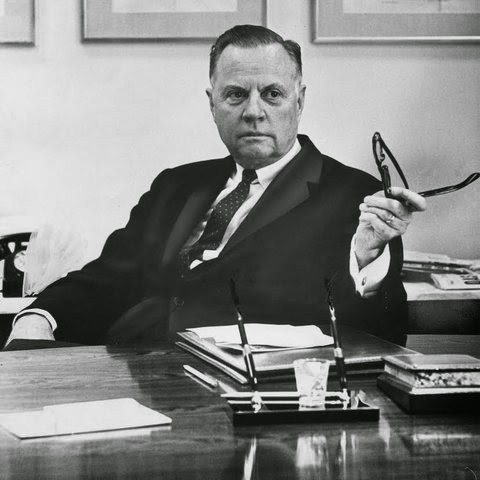 Two weeks after the Bay of Pigs disaster, Mr. Catledge was among a group of editors summoned to the White House to discuss with the president the issue of newspapers prematurely disclosing government security information. 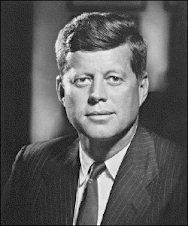 As an example, President Kennedy cited the January report from Guatemala by the other Mr. Kennedy. Mr. Catledge countered that the information had already appeared in The Nation. 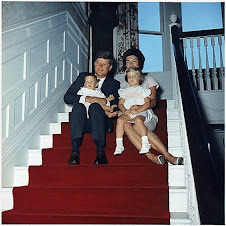 “But it wasn’t news until it appeared in The Times,” President Kennedy said. 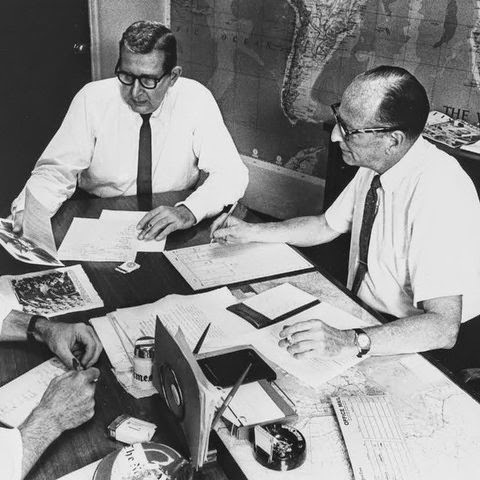 Then, in an aside to Mr. Catledge, the president said, “Maybe if you had printed more about the operation, you would have saved us from a colossal mistake” — the implication being that if The Times had said the invasion was likely to occur in mid-April, it would almost certainly have been scrubbed, or at least postponed.